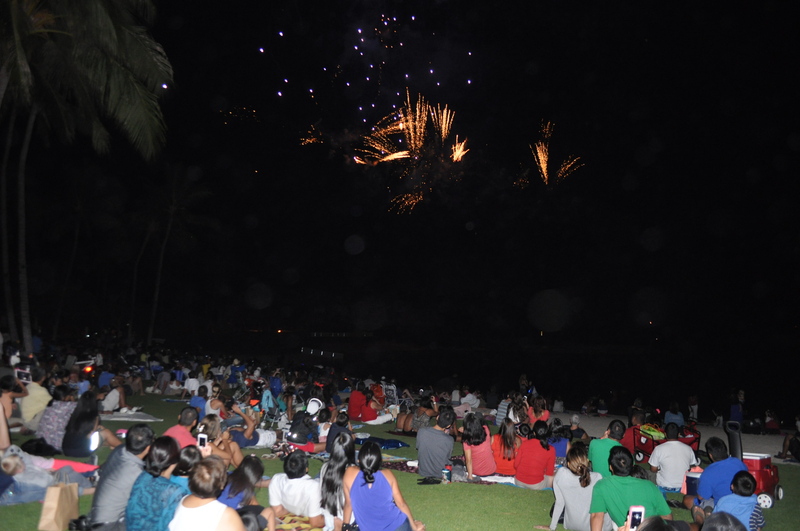 (Ko’Olina)– Thousands of residents and visitors gathered Friday night to bear witness to an amazing fireworks show celebrating America’s independence. The main event, now a tradition in the west side of Oahu, did not disappoint with spectacular visuals supported with a eclectic soundtrack of music that included Andrea Bocelli, among others. 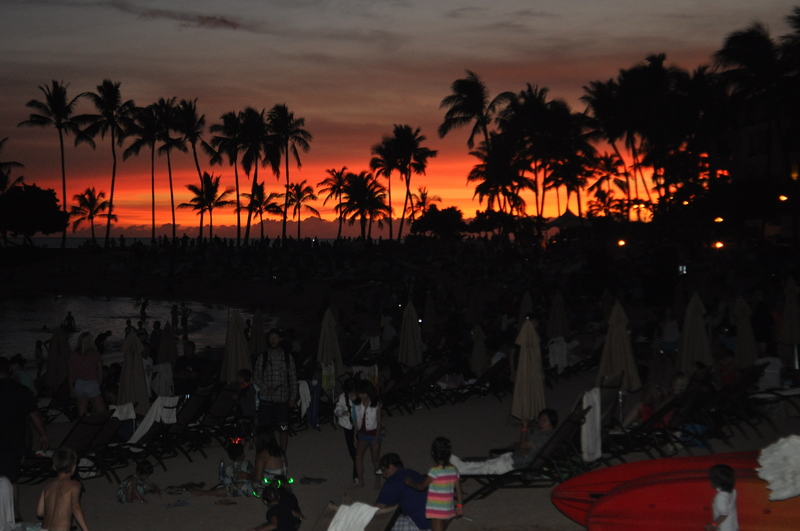 Thousands filled the beach a Ko’Olina lagoon 1 to witness an amazing sunset and an amazing fireworks display. Photos By Melanie Gonzalez/Hawaiiahe. 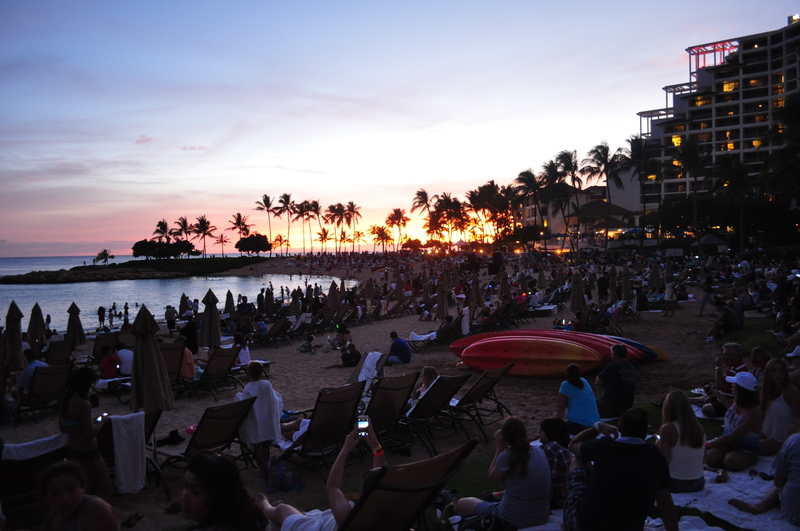 The 10-minute fireworks show was preceded by an amazing sunset that left residents and visitors in awe of Hawaii’s natural and captivating beauty. “The sunset was nothing short of spectacular and it set the mood for how special this night was for my family and I,” said Sarah Bryant, visiting here from Canada. 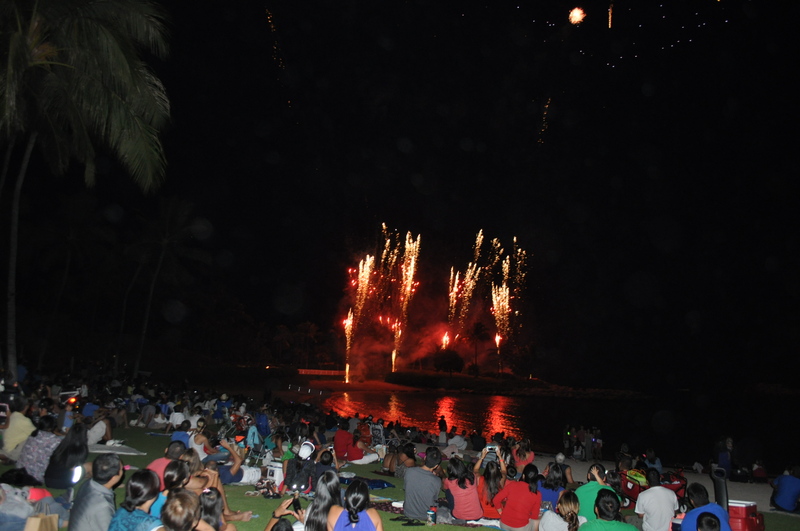 Put on the by the association of hotels and resorts at Ko’Olina, this family event offered the perfect setting to celebrate our nation’s 238th anniversary of its independence. 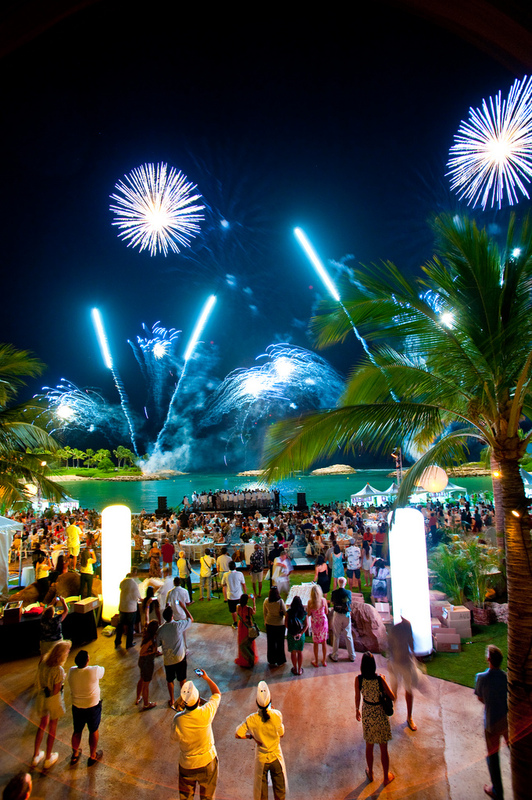 The spectacular aerial fireworks display off the beach lagoons at Ko’Olina brought the masses for a true family event that won’t be soon forgotten by those in attendance. 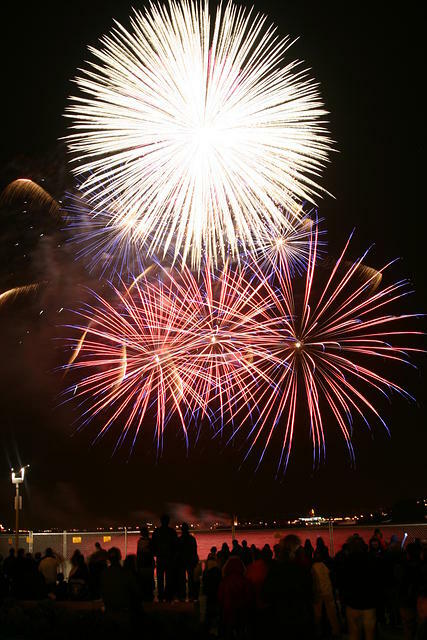 As the last of the fireworks darkened in the sky, kids of all ages observed with awe and wonder. This was truly a special night for all present here.